I don’t know if I have already mentioned, that I have been assigned to judge the inaugural scarecrow competition at the community garden here in Beach Haven tomorrow. This will be a very busy day for me. I have to go to the garden to look at all the entries, then I have to come back home to run a Dede workshop and back to the garden to announce the winner. The community garden is relatively new and as it is with such groups, money is an always short. So, I decided to reinvigorate one of my favourite prizes I awarded at many occasions while still studying. Take one bayleaf, spray paint with metalic gold (donated by the artschool) and put in a nice looking but cheap frame from the bargain bin. 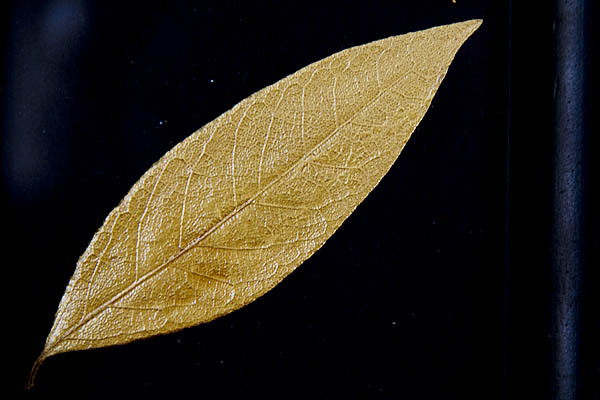 I wanted to have a leaf in gold, silver and bronze. Unfortunately there were only cans in gold, silver and red. Never mind, red is a nice colour too. The local chocolate shop has also donated four boxes of chocolates. I hope the scarecrows will be happy and the weather gods are favourable.